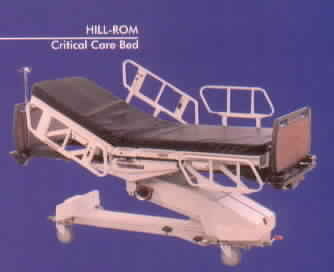 We sell many types of equipment for the ICU area use such as, stretchers, manual beds, electric beds, ventilators, vital signs monitors, cardiac monitors, pulse oximeters, oxy-capnographs, ecg’s, defibrilators, suction pumps, crash carts and many more items. Some of the brands we deal with in this area are: Siemens, Sechrist, Nellcor, Nihon Kohden, Burdick, Stryker, Hill-rom, Hausted, Datascope, Physio Control, Ohmeda, Hewlett Packard, Airshield, Gomco, Allied and many more. En esta área vendemos muchos tipos de equipos para la UCI, por ejemplo: camillas, camas manuales y eléctricas, ventiladores de volumen, monitores de signos vitales, monitores cardíacos, oxímetros de pulso, monitores de capnografía, ekg’s, desfibriladores, bombas de succión etc. En esta área hacemos negocios con marcas como Siemens, Sechrist, Nellcor, Nihon Kohden, Burdick, Stryker, Hill-rom, Hausted, Datascope, Physio Control, Ohmeda, Hewlett Packard, Airshield, Gomco, Allied y muchas otras. 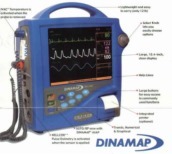 Monitors DINAMAP CRITIKON MPS COLOR MONITOR WITH ECG,NIBP,Spo2,Temp and charger. Pulse Oximeters Drager Micro 2+ Tele Model # 7489359E554U - NIB!!! Pulse Oximeters Dolphin Medical Model 2100 Includes Manual, 2.4 Extension, Cable & Adult Reusable Sensor. Pulse Oximeters OHMEDA Biox 3740 Pulse Oximeter With Finger Probe - 1 Avai. Suction Pumps GOMCO 300 SUCTION PUMPS WITH NEW CANISTER AND GAUGE.